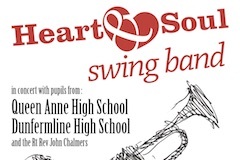 Heart and Soul Swing Band in concert with pupils from Dunfermline and Queen Anne High Schools on 19th November 2014 at 7.30pm. 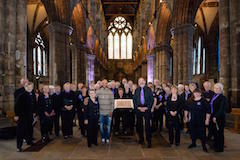 With Guest speaker, the Moderator of the General Assembly of the Church of Scotland Rt. Rev John Chalmers. 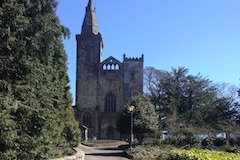 “Questioning Faith”, the sermon preached at the 11am service on Sunday 26th October by the Minister, Rev MaryAnn R. Rennie is online now. 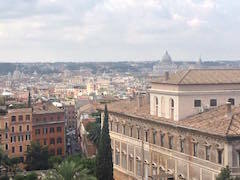 Read more"MaryAnn Preaches in Rome"
The sermon preached at the 11am service on Sunday 19th October by the Assistant Minister, Rev Iain Paton is online now. The sermon preached at the 11am service on Sunday 12th October by the Assistant Minister, Dr. Jean Kirkwood is online now. 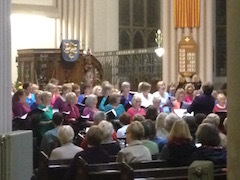 A few pictures from The NOTEables concert in the Abbey on the 6th of October. 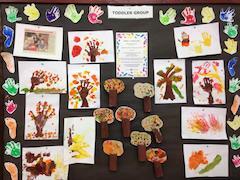 Read more"The NOTEables Community Choir"
Great fun again this morning at the Abbey Toddler Group making Autumn Trees! Just a reminder that the group is having a two week break over the school holidays and will be back on the 27th October for some spooky Halloween fun!